HONOLULU –– Approximate 220 coders and innovators answered the call to apply their collective creativity to improving Hawaii state government. Gov. David Y. Ige welcomed approximately 220 participants to the HACC. The HACC is the result of collaboration across public and private sectors. 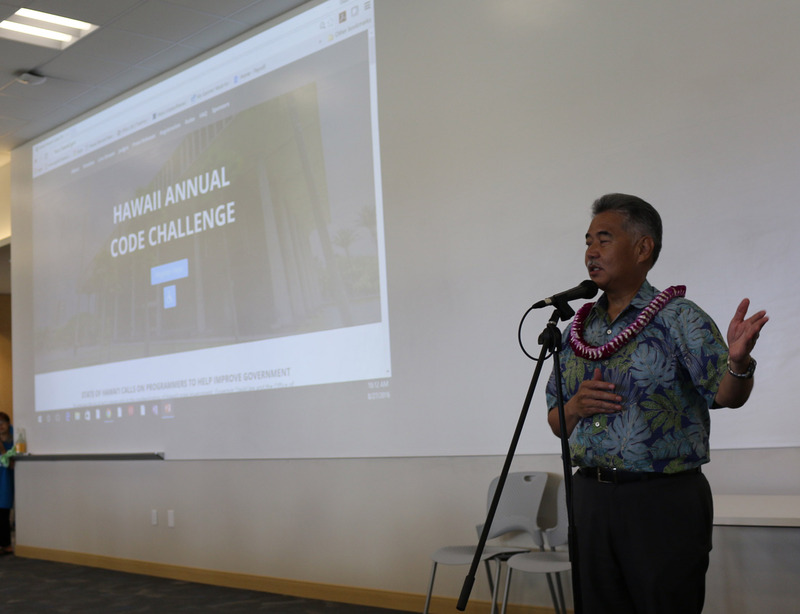 In coordinating the event, the CIO-led Office of Enterprise Technology Services (ETS) partnered with the High Technology Development Corporation, DevLeague, Empowered Presentations, Hawaii Open Data, Blue Startups, Sultan Ventures, and XLR8UH. Award prizes are being underwritten by sponsors such as Hawaiian Electric, Kaiser Permanente, KPMG and Verizon. Additional support is being provided by DataHouse, eWorld Enterprise Solutions, Socrata, Uber, Unisys, DRFortress, and Hawaiian Telcom.